If you are looking for Single Twisted Wire Full Cheeks you came to the right place. You can find a vast collection of horse tack products here at Horse Tack Now. This Single Twisted Wire Full Cheeck gives lateral control. It measures 1 1/2'' in rings and 6mm mouth. 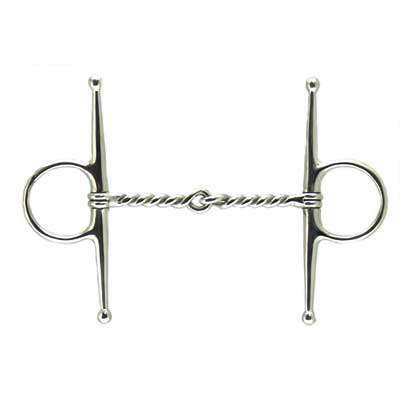 This happens to be one of the popular Horse Bits we have to offer with plenty of positive customer feedback.